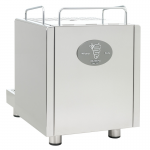 A high-end commercial style espresso machine designed for a home barista with the highest of standards. 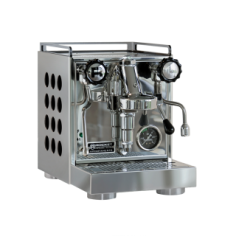 Featuring a 2 litre boiler and a heat exchanger the Giulia enables home barista's to froth and extract espresso at the same time. 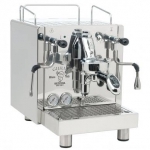 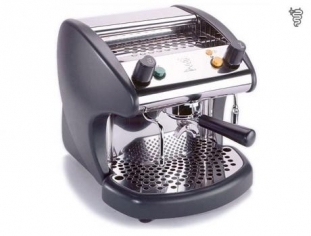 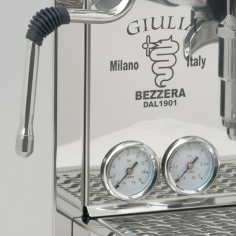 The Bezzera Giulia froths quickly and to perfection and with froth a 1 litre jug with ease. 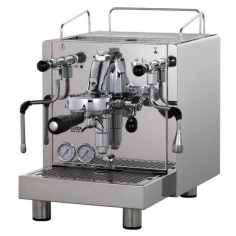 The design of the coffee extraction piping ensures the machine extracts perfect shot after shot. The model BZ02 was created for semi-professional use in small community it is equipped with vibrating pump.Two versions are offered: automatic and manual; both versions has a tank for water supply.